Our Rapid Repair Centre offers localised Small to Medium Area Repair Techniques known as S. M. A. R. T repairs. 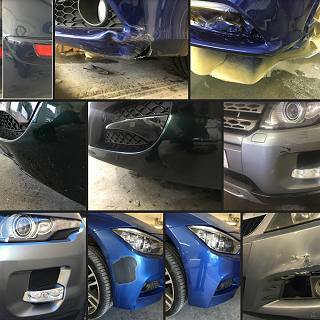 Specialising in small to medium sized crash & paint work damage, paintless dent repairs along with leather & Vinyl interior repairs, we provide our customers with a professional quick repair using the latest products and techniques. The techniques we use are designed to bring your car back to its original condition, saving you money and reducing the time you will be without your car but without compromising the quality of the finish. Majority of DAMAGE UNDONE's work comes from previous customer referrals and is highly recommended within the local area. DAMAGE UNDONE is owned by Wayne and his family have been involved in the Car Industry for over 35 years. Customers are always welcome to stop by for a free quote or just some helpful & friendly advice. Pop by the workshop between 08:00 - 14:00 Monday to Friday and we will be more than willing to help you out. DAMAGEUNDONE can bring your car back to new. 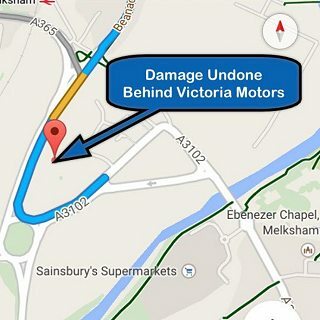 Minor knocks & scratches to plastic areas are in most cases repairable for less than your insurance excess, helping you keep next years premiums down. Using the latest digital Plastic Welding Technology we can weld your plastic parts back together at the optimum temperature giving the strongest bond without compromising the integrity of the original plastic. 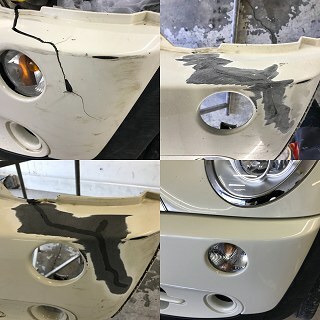 As a SMART (Small to Medium Area Repair Techniques) specialist we can also refinish the repaired area back to new. As with all of our specialist repair services our first priority is to always save and preserve as much of the original area as possible. DAMAGEUNDONE can bring your car back to new. Minor knocks & scratches are in most cases repairable for less than your insurance excess, helping you keep next years premiums down. If returning a lease vehicle we can repair any cosmetic damage before you return it eliminating any heavy penalties normally levied by the leasing company. 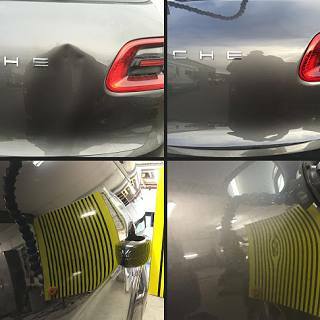 Using specially designed dent removal bars and techniques we are able to remove small to medium sized dents without the need of any paintwork. 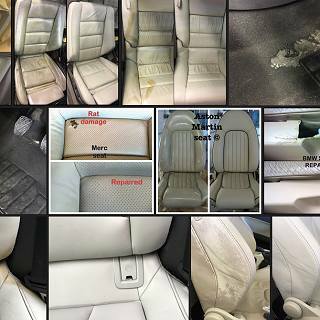 Using the latest products and techniques we can repair and refinish pretty much any cosmetic damage inside your vehicle, from carpets to dashboards and seats to door trims. DAMAGEUNDONE recommend PRO ALLOYS in Melksham to get your alloy wheels back to their original condition.